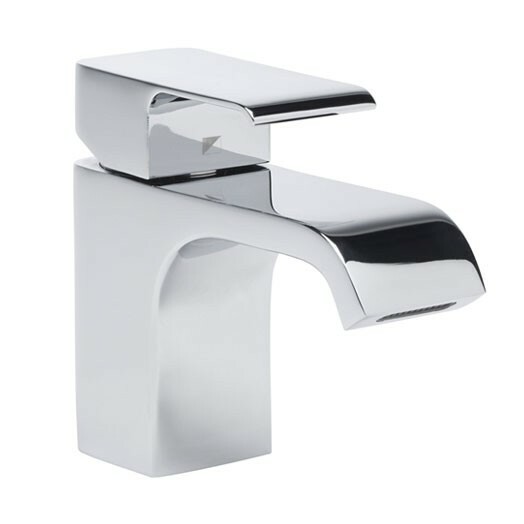 Roper Rhodes Hydra mini basin mixer with click clack waste. Roper Rhodes have designed the Hydra mini basin mixer to sit well on any cloakroom or small basin. It has a neat broad waterfall styled spout with a slight slope to the end of the spout and the handle copies that curved shape. The hydra mixer tap comes complete with a clicker waste. The cartridge that is used in the Hydra range of taps comes with a built in temperature limiter.